This is where syslog comes in, as you can’t get real-time information when polling data sources, the data needs to come to you. NSX has multiple ways of logging information, including everything that happens on the NSX Manager, Controllers, Edges and hypervisor hosts. Whenever something happens inside NSX (configurational or operational change), it will send out real-time data for analysis. Network Insight is leveraging that system to get real-time data around configuration changes. Currently, the only change it monitors are the NSX Security Groups. Whenever a VM enters or leaves a Security Group, Network Insight will instantly process that change. 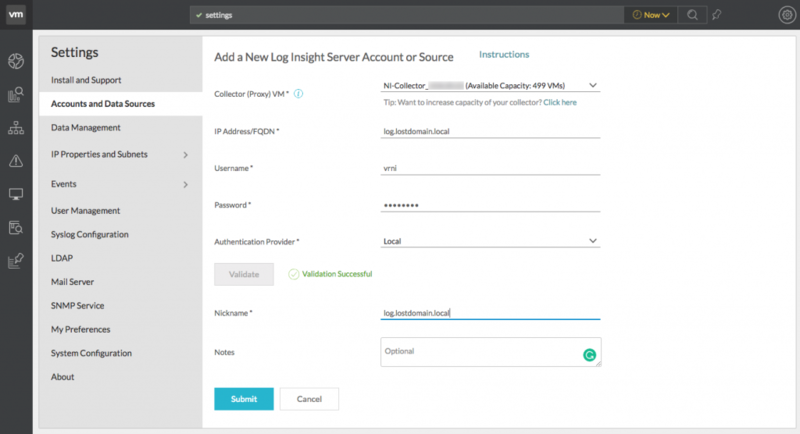 Instead of creating an entirely new syslog server inside Network Insight, it’s leveraging the existing syslog server; vRealize Log Insight. Below is a representation of how the workflow from NSX to Network Insight via Log Insight works. The content pack does not have a lot of content, the primary reason for needing this is the alerts it sets up for you. 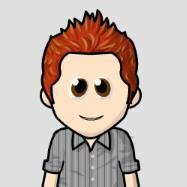 Provide the username and password used to connect to and validate Log Insight. 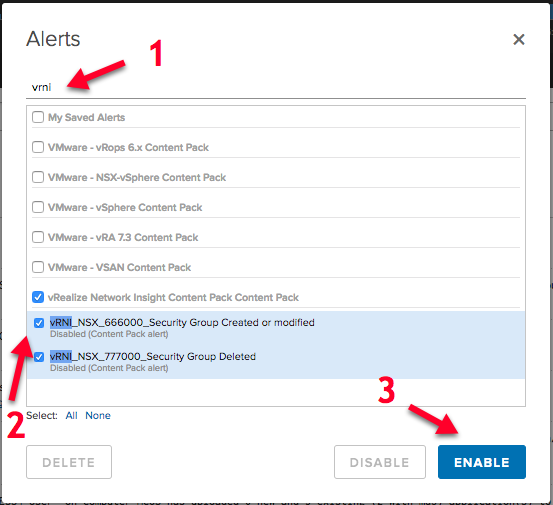 In the popup that comes appears, search for vRNI, select the 2 alerts created by the Network Insight Content Pack and click the Enable button. 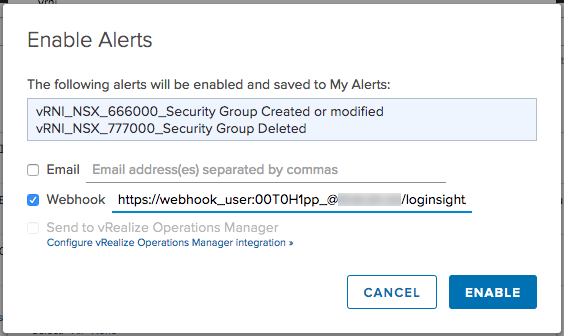 Another pop-up appears in which you can disable the Email alert and enable the Webhook alert. Paste the URL from Network Insight there. This will create copies of the alerts that come with the Content Pack and will put them under My Saved Alerts, in case you go looking for them later. That’s it. 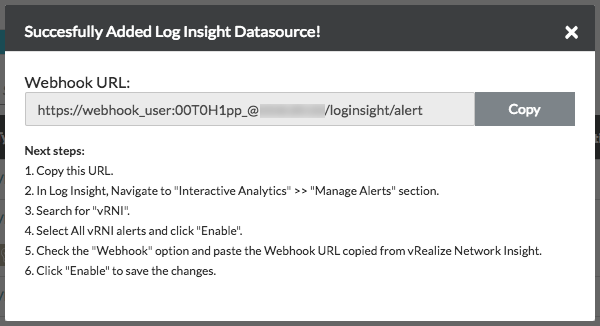 Log Insight will now look for Security Group updates and send them directly to Network Insight for processing.